Today’s look is going to be a Kylie Jenner Editorial Grafic Look, I saw this photo on her instagram to promote the new Kylie Cosmetics Weather Collection and I fell in love. 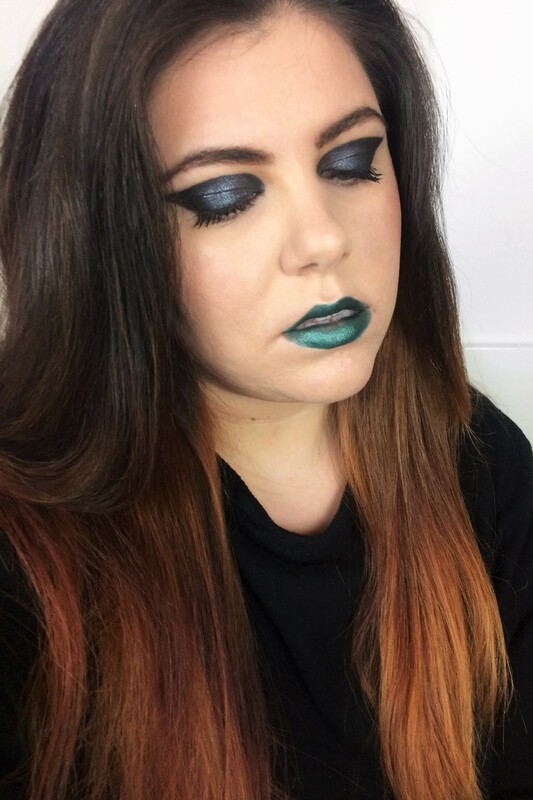 It’s super edgy and dramatic, definitely something I personally won’t wear but I had so much fun playing with the colours and the shapes. 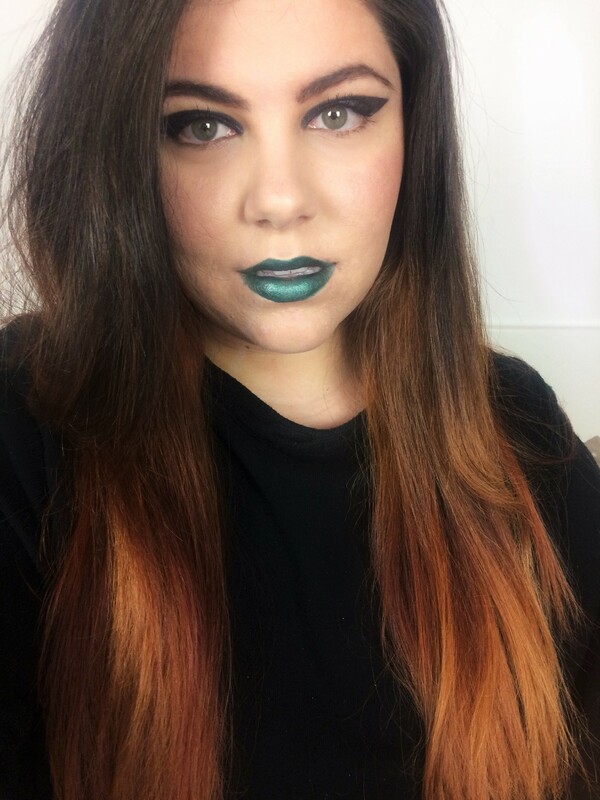 After my Halloween | Slytherin Snake #MakeupMonday I was dying to play again with green lipstick so although Kylie’s lips are more black/green than mine, I still love the final result. Primer: Maybeline Eyestudio Gel Liner in Black Chrome, I used it to create the shape of the grafic liner, just followed Kylie’s photo, I outlined the shape and then filled in with a tiny brush. Eyeshadow: Smashbox Full Exposure Eyeshadow Palette, I used the Dark Grey (last shade in the top row) with a damp brush to go over the liner and make it more opaque and shimmery. I cleaned around it with a Q-Tip to make it sharper. Eyeliner: Sephora Kohl and Liner in Intense Black to tightline. 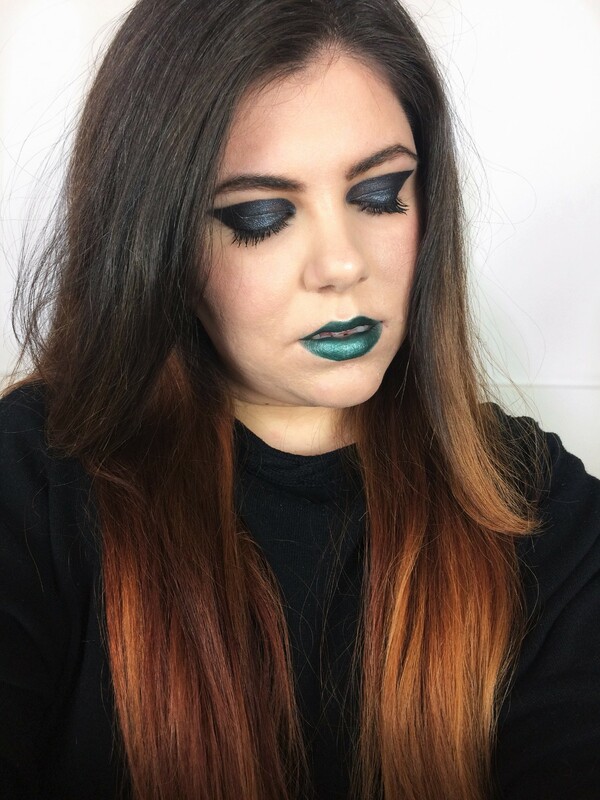 You did a great job re-creating this edgy makeup look! I would never be able to pull this off, but I’m glad someone else can. 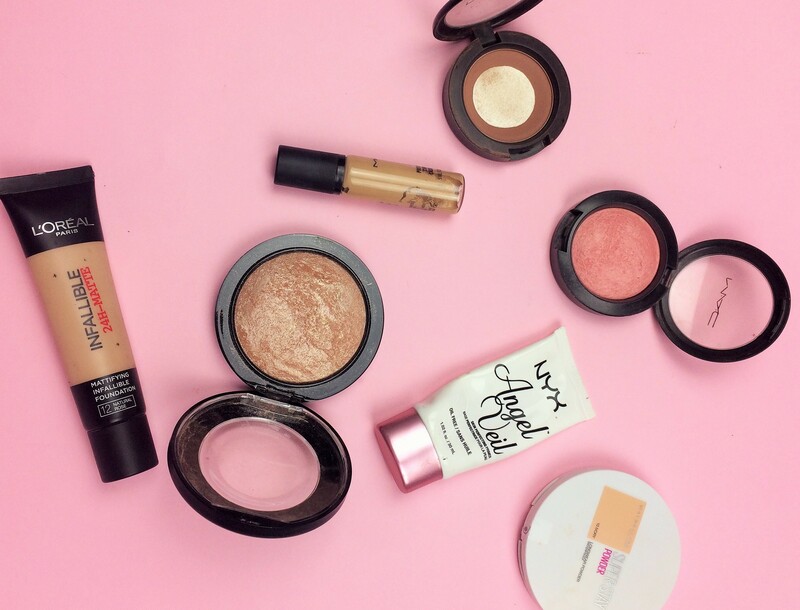 You did a great job recreating this look. 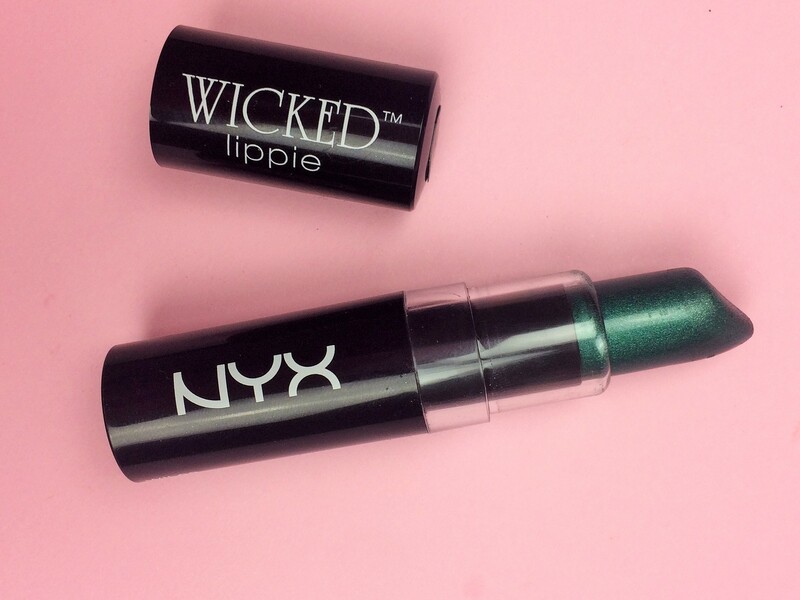 I’m not one to wear green when it comes to cosmetics, but you really rock that lip color! 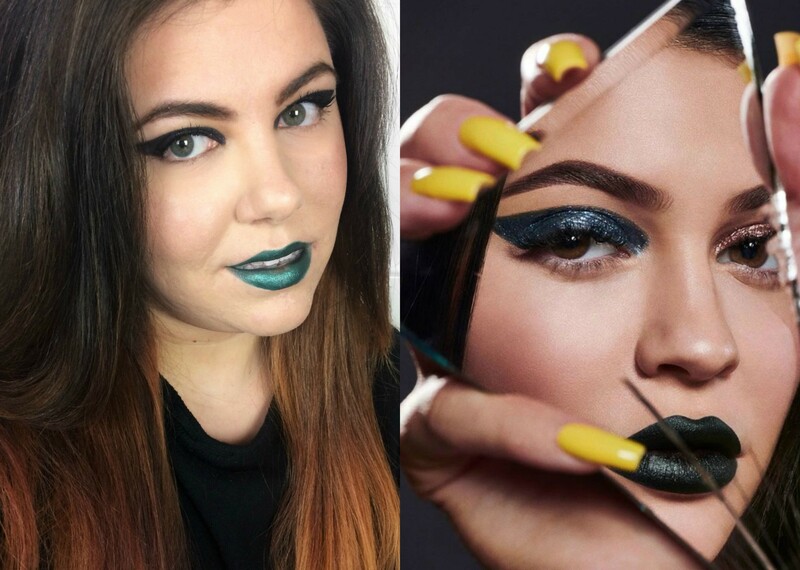 Awesome job recreating the look. It love the eyes. I love what you did with this tutorial! Beautiful job! This is a fun look. 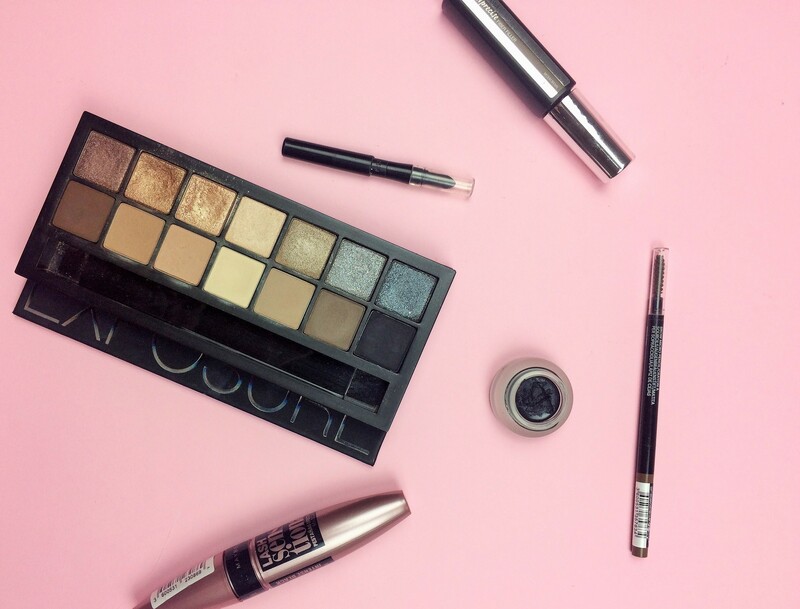 I love the dramatic eyes! Yay! I would love to see you over there, if you have any friends that you think would enjoy the group aswell please feel free to add them! Ahahha I was a rockstar with green lips and pjs! I love the shape of the eye, so dramatic and fierce. Great Job! So beautiful! I just love the shape of the eye. You did such a good job on it! 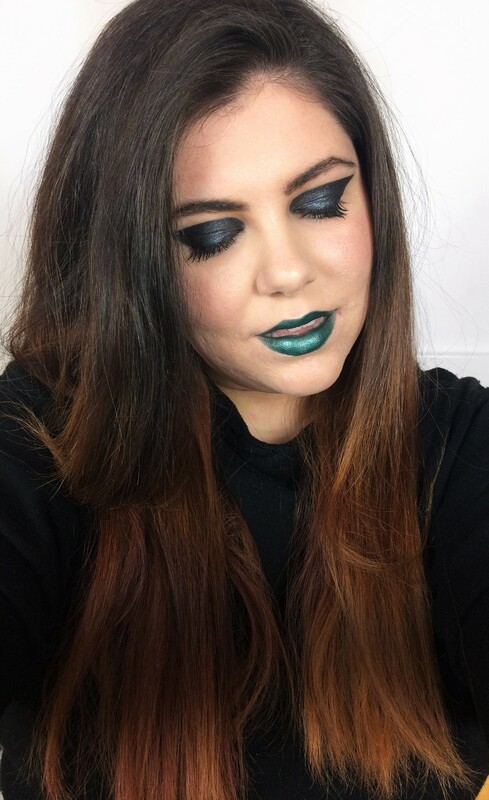 This is such a fun edgy look! LOVE it! Wow! I like those eyes! It’s interesting to make such a make-up. For a themed photo shoot, this will definitely work.